Freedom of expression is once again under attack in Egypt. Last week, pressure from authorities forced the shutdown of best-selling Egyptian author Alaa al-Aswany’s monthly seminar “Conspiracy Theory between Reality and Illusion” at Jesuit’s Cultural Center in Alexandria. The move is intended to keep Aswany from discussing how the Egyptian government manipulates the public. Since his career started, the author of the award-winning novel The Yacoubian Building and a contributing opinion writer for The International New York Times, has been actively using his work as a vehicle to talk about social and political changes in Egypt. Although Aswany’s books have received critical acclaim internationally, domestically the Egyptian government has been using its authoritative power to suppress the author from voicing his opinion on the state of Egypt. 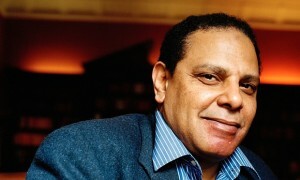 Aswany isn’t the only Egyptian author who has been receiving heat from the government. Writer Ahmed Naji is currently facing a 2 year jail sentence and approximately $1,245 fine for publishing an excerpt from his book The Use of Life which prosecutors deemed in violation of public morals. Although Naji’s lawyer is challenging the constitutionality of the laws that authorities are using to convict the author, Naji and Aswany are just two authors who have become targets of censors. “Freedom of expression is at its lowest point, worse than in the days of Hosni Mubarak,” said Aswany to the Associate Press. Supporters of both authors, though, aren’t just sitting back. Instead, organizations like The Arabic Network for Human Right Information (ANHRI) are using these recent cases to present to the world the types of injustices being committed against free speech in Egypt.